ZANZIBAR LEOPARD – dead or alive? So said Tanzanian Minister of Energy and Minerals Daniel Yona when he addressed a Commonwealth Investment Conference in Dar es Salaam on 28th May 2003. He was not the only one who could smell oil. Company’s specialising in oil prospecting are moving into Tanzania from all over the world. Managing Director of the Tanzania Petroleum Development Corporation (TPDC) Yona Killagane announced that technical and financial programmes were going on to evaluate the petroleum potential of the areas to be explored. Seismic and hydrocarbon tests had shown that a large area of Tanzania’s coastal belt, the Rufiji river valley and delta, and the western flank of the Great Rift Valley in Rukwa region had potential for oil. The cumulative seismic coverage owned by companies for exploration is approximately 52,000 km -of which 28,000km is offshore and 24,000 km onshore, including the interior rift basins. On June 9 the East African reported that Shell Exploration of the Netherlands had joined the search for oil and hoped to strike it in five to eight years following negotiations for exploration between Shell and the TPDC). Shell (T) Ltd. Chairman Mike Bowers confirmed that Shell Exploration had won a bid for four deep-sea exploration blocks East of Zanzibar and to prospect four deep-sea areas or ‘blocks’ in the Rufiji delta. Petrobas of Brazil was reported to be bidding for a block about 24 kms East of Mafia island southeast of Dar es Salaam. The French company Maurel and Prom was said to be hoping to drill on Mafia island and areas of Mkuranga district on the coastal mainland. The Anglo-Irish Oil Exploration Company Aminex has signed a deal with Romania’s State-owned Petrom on Tanzanian’s offshore interest. Aminex said its wholly-owned Tanzanian subsidiary, Ndovu Resources, had signed an agreement with Petrom, under which Petrom will pay 50% of all costs of drilling and completing the two wells to earn a 30% working interest in the licence. The total cost of the two-well programme is estimated to be $15 million. The two companies have also reached initial agreement to use Petrom’s Orion type jack­up rig “Atlas” to drill the two wells on Nyuni. Four months after the Minister’s speech, on October 1, it was announced that the ‘Bounty Oil and Gas Company‘ had commenced drilling at what is known as the Nyuni-1 petroleum exploration well some 30 kms off the coast of Tanzania, about 12 miles from the Songo Songo gas field at Kilwa where gas production should start this year. The Nyuni prospect may hold reserves of up to 260 million barrels of oil. The well is expected to reach oil at 3,000 metres under the sea. One of the many live oil seeps in the region is to be found on Nyuni Island, the small island after which the licence is named, and which also directly overlies the main Nyuni prospect now being drilled. In time, reported the London Guardian (September 11) the whole western flank of the Rift Valley inland may be drilled, as seismic and hydrocarbon tests have shown that this too has potential for oil. Giles Foden looked at the ecological implications for the islands of Zanzibar and Mafia in a report he sent to the London Guardian from Mafia island. He wrote: ‘The oil in Tanzania’s coastal belt was discovered in the 1960s but it is only recently, with western governments searching for alternative sources to the Middle East, that these paradise isles are being taken seriously as drilling sites . . . . . . ..With negotiations on Zanzibar bogged down between the island and the mainland over which should benefit (Zanzibar is unhappy with a proposed 60:40 split of profits), Mafia and its tiny neighbour Chole seem likely to see exploration, perhaps within a year. Mafia is about 30 miles (50km) long and 10 miles (17km) wide and is surrounded by a host of tiny islets; it is home to one of the world’s richest marine habitats -a marine reserve run by the Tanzanian government with support from the World Wildlife Fund. As well as fish (more than 400 species) and other marine life, from dolphins to both green and hawksbill turtles, the area is home to many species of birds, including black kites and lilac-breasted rollers. There are also said to be dugongs (sea cows), among the world’s rarest creatures, in these islands …. Much of the area’s commerce has depended in the past on the monsoon winds that blow variously across the Indian ocean: the north-east monsoon (the kaskazi) from December to March and the south-east monsoon (the kusi) from April to November. It was these winds, filling the sails of dhows, which once made the area rich. Oil may do so again, but at what ecological cost? Another factor in the mix is that the region is host to two Unesco world heritage sites: Zanzibar’s Stone Town and the ruins of the coastal city of Kilwa on the mainland. Shell said at the end of August that the company would avoid exploring or drilling on sites that carry these designations. If there is to be a muafaka. or reconciliation between economics and conservation, the ecology of the whole coastline needs to be considered, not just that of the marine park. The first offshore exploration well in Tanzania was drilled by BP in the coastal basin in 1954 and encountered oil and gas. Six out of seven wells drilled at that time and over the next few years encountered oil and/or gas shows, two being potentially commercial gas discoveries. However, a lack of appropriate infrastructure, an inhospitable political regime and the ready availability of low cost oil elsewhere left Tanzania on the sidelines of the oil and gas industry ….. . The dawn of the New Millennium has seen a resurgence of exploration interest along the entire East African margin, for both gas and oil, as fewer attractive opportunities remain available on the West African margin and the industrialised world increasingly seeks to replace its dependence on the Middle East with reserves in less controversial areas. (The demand for oil in China is growing spectacularly; in October 2003 China consumed 11% more than it had done in the same month of 2002 -The Times). Improved geological knowledge is being gained from a re-examination of existing data using up-to-date technology, challenging previously held views on the prospectivity for oil and gas. With the next presidential and parliamentary elections now only a year away, political activity is increasing, especially in Zanzibar, where the next contest could again be very close between the Chama cha Mapinduzi (CCM) the ruling party and the main opposition party, the Civic United Front (CUF), which has its stronghold in Zanzibar. Relations between the two parties are much better than they have been since the alleged rigging of the last two elections but, after the overwhelming success of CUF in the 17 by-elections held in Pemba on May 18 2003, many observers wonder whether CCM will this time allow the Zanzibar elections to be free and fair if it means CCM losing power in the isles. The Sunday News (12th October) reported on a debate which had been relayed live on Television Zanzibar in which the leading participants were the co­chairmen of the Muafaka Implementation Accord Committee, Omar Ramadhani Mapuri of CCM and Abubakar Khamis Bakari of CUF. The subject was the implementation of the agreement. The co-chairmen jointly explained that the programmes within the agreement that had not then been implemented needed a lot of money to ensure a successful conclusion. As examples they gave the compensation of people whose houses were demolished and those who lost their jobs, because of the political crisis of 2001, as among items whose implementation was stalled due to shortage of funds. Both however, despite the shortcomings, said that they were satisfied with the speed at which the programmes were moving ahead. They listed several areas which had already been implemented including the appointment of a new Zanzibar Electoral Commission (ZEC) which includes members from the ruling and opposition parties and withdrawal of court cases of a political nature. Restoration of normal political life and good governance were among the great achievements of the Muafaka. Mwananchi reported recently that the ZEC had presented to the Zanzibar Government proposals for the smooth conduct of future elections. In a report containing lessons learned from the May 18, 2003 well conducted by-elections in Pemba, the ZEC advised the Government to bank all funds received from donors and Government sources in the ZEC accounts as soon as possible. It suggested that ZEC, rather than state agents, should be allowed to procure its equipment needs because, according to the report, late delivery of equipment could cause chaos in the registration of voters. The ZEC also wants changes in the electoral law to accommodate a Permanent Voters Register. The Government of Zanzibar banned the publication, distribution and sale of the popular weekly newspaper Dira in Tanzania with effect from November 28. Minister of State in the Zanzibar Chief Minister’s Office, Salim Juma Othman, said that the ban had to be imposed because Dira was creating enmity between the Government and its people by inciting them to break laws through reminding them of their bad history, promoting tribalism, religious segregation and publishing seditious information. The Government had shown a high degree of tolerance, he said, but the publishers of Dira had not changed their attitude. The newspaper had been telling lies that had threatened national unity. He accused the newspaper of not recognising the Government, misusing press freedom and fomenting tribal hatred between Isle and Mainland citizens. Othman pledged that the Government would continue to respect freedom of the press and cooperate with all media institutions which respected the laws of the land, safeguarded national interests, upheld democracy and recognised the right to privacy of an individual. Othman was also quoted as saying that the editorial board of Dira had failed to reform and abide by journalistic ethics despite being advised over seven times, including by the Tanzania Media Council. According to Mwananchi, among the complaints of the Government against Dira were its claims that President Karume was not a Zanzibari. It had investigated his family in order to tarnish the image of Karume’s father, founder leader of Zanzibar, the late Sheikh Abeid Amani Karume. A few weeks earlier the High Court in Zanzibar had ordered Dira to compensate two children of President Karume, with Shs 660m/-for libel. Dira had earlier complained that the Government had declared Dira Managing Editor, Ali Mohamed Nabwa, as not being Tanzanian, but rather a Comore national. The Dira Editorial Board is chaired by Ismail Jussa Ladhu who is also the assistant to CUF Secretary General, Seif Hamad and also a member of the Presidential Commission for overseeing the implementation of the Muafaka. The CCM party in the Urban West Region of Zanzibar welcomed the Government’s decision and said it would contribute to building national unity and tranquility in the Isles. 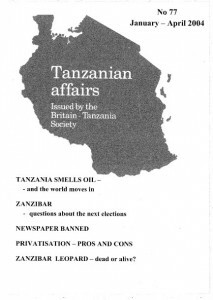 It accused the paper of being not only a threat to peace and national unity, but as also having distorted the history of the Zanzibar revolution and subsequent establishment of the United Republic of Tanzania. CUF Secretary General Seif Shariff Hamad, described the ban as contrary to freedom of expression as enshrined in the Zanzibar constitution. He said his party did not see any meaningful reason to warrant the ban. According to Section 18 of the Zanzibar Constitution, he said, every individual was entitled to freedom of expression without regard to national boundaries. 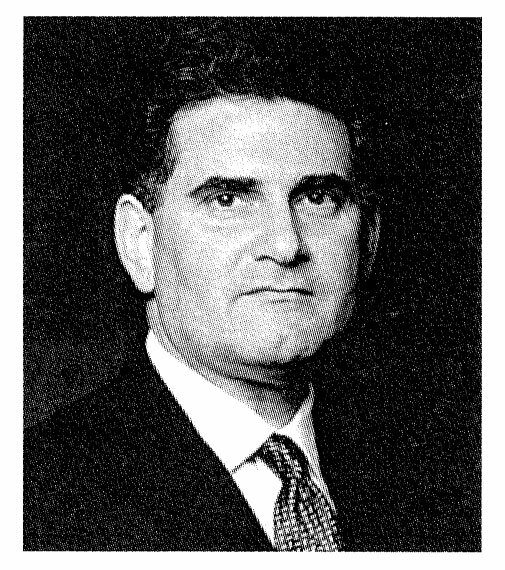 He challenged the Isles’ Government to nurture a culture of tolerance when criticized, in order to strengthen democracy and the rule of law. If Zanzibar President Amani Karume wanted people to take him seriously as a believer in democracy and respect for the constitution, he should repeal the ban, he said. On December 4th the Guardian reported that the Zanzibar Government had threatened to take legal action against the editorial board if it attempted to publish the paper on the intern et. He said the newspaper was registered m Zanzibar, and the Isles formed part of the Union. An editorial in Mwananchi called for both the Dira management and the Government to cool down and work together for the betterment of the nation. According to Mwananchi and Mtanzania CUF Chairman Professor Ibrahim Lipumba has warned that if the Permanent Voters Register is not prepared in time before the 2005 general elections President Mkapa should prepare for trouble. Speaking to newly elected CUF leaders in Dar es Salaam Region Lipumba said his party would not again allow what he described as ‘vote stealing like in 1995 and vote robbing like in 2000.’ He called on the CUP leadership in Dar es Salaam to work hard because the party’s winning in Zanzibar depended very much on its strength in Dar Es Salaam. According to Nipashe CUF Secretary General Seif Shariff Hamad, who also leads the party in Zanzibar, when closing a recent meeting in Dar es Salaam, said that CUP would get many seats in the 2005 general elections and nothing would deny it a win, not even ‘the hiring by CCM of fake voters from the mainland as had happened in the 2000 elections or the rigging of the elections as in 1995.’ Hamad called on CUP members to prepare to defend their 2005 win at all costs. He said that Zanzibar President Karume was the main obstacle to implementation of the Muafaka and added that reconstitution of the High Court for Zanzibar, freedom for the media organs in the isles and establishment of a new Zanzibar Electoral Commission (ZEC) Secretariat had yet to be implemented in accordance with the Muafaka. Early in December Seif Shariff raised the stakes again, according to Nipashe, by claiming that clandestine movements were underway to remove the post of President of Zanzibar from the list of elected posts. The Vice-President of Tanzania would then become the leader of Zanzibar instead of an elected Zanzibar President. Hamad and his followers vowed to fight the plan because, if successful, it would wipe out the state of Zanzibar, turning it into a region of Tanzania. Addressing a rally at Kibandamaiti grounds in Zanzibar West, Bamad said the proponents of the move wanted the plan to be effected before the 2005 elections. He said that highly placed intelligence officers working with the Union Government had hatched the deal as one way of saving the ruling CCM party from losing heavily in the elections. Again in early December Mwananchi reported that Seif Hamad had accused the Zanzibar Government of recruiting more personnel from the mainland to join the Zanzibar Anti-smuggling Unit, the Prisons Service, the National Service and the National Volunteer Service (KVZ) in preparation for a showdown with the opposition in 2005. Seif Hamad told journalists that there would not be a Muafaka III. He had been informed, he said, that the plan was to employ 500 youths every six months between now and October 2005. According to the Muafaka II agreement no police or army personnel from the mainland would be deployed in Zanzibar during Zanzibar elections. Concern amongst some CCM members about the next elections was exemplified when Nipashe reported that three CCM ‘stalwarts’ had sought the deletion of CUF from the list of officially recognised political parties. In their application, they claimed that CUF was a ‘terrorist party’ and that some CUF members had uttered dangerous political utterances which could threaten the constitutional fabric and hence jeopardise the security of the state. But the Judge in the case said that the application ‘failed miserably for lack of merit’ and it was dismissed with costs. Principal State Attorney Donald Chidowu pointed out that CCM­-CUF political relations had improved in the correct direction, leave alone the fact that CUF had not contravened any of the provisions of the law on political parties. One of the two new parties established late last year in Zanzibar, SAFINA, (which, according to Mtanzania advocates the breaking up of the Union between the mainland and Zanzibar) is rumoured to have split. It has not yet obtained permanent registration. According to sources in Zanzibar, quoted in Mwananchi, some top leaders from SAFINA have formed another party called HIDAYA. They said SAFINA leaders from Zanzibar North district including Abu Amour, the brother of former Zanzibar President Salmin Amour, allegedly received money from the ruling CCM and left the party to form HIDAYA. SAFINA Publicity Secretary Omar Awesu Dadi confirmed the reports of the split saying those who had left the party received bribes from CCM. In the midst of increasing criticism of South African investment in Tanzania President Mkapa tackled the issue head on in a speech on November 6. Quoted in the Guardian, he said that singling out South African investors for criticism was myopic; they were among the most successful foreign investors in the country. South Africa was better suited as a source of Foreign Direct Investment because of its proximity and its more realistic assessment of risk, one not unduly coloured by a biased and prejudicial international media. He said South Africans did not run away from challenges; they took them in their stride. When South African Breweries came to Tanzania, in their first years they experienced water and power shortages. They did not whine, or walk away … They built their own back-up power and water system. “It is such investors that are ideal for our particular circumstances in Tanzania: problem solvers, not problem identifiers; doers not whiners,” he said. The President then went on to praise privatisation. He said he felt sorry for critics who picked on a few of the unsuccessful privatised firms to discredit the whole privatisation exercise. “I am an optimist, I prefer to use successful privatisations, such as that of Tanzania Breweries, to show that the decision of my party, CCM, to bring the private sector into the economy is the correct one. It was correct when we began, it remains correct today, and it will be correct in the foreseeable future until someone comes up with a better framework to unleash human creativity, initiative, and entrepreneurship,” he said. He also said that, while demanding the extra revenue the Government gets from the private sector, the cynics wanted to retain labour laws meant for a socialist economy. “They enjoy the abundant supply of cold, quality beer in the evening; even as they debate the ignoble notion that Mkapa is selling the economy to foreigners, their bete-noire being South Africa,” he said. The government has decided to lease activities of the Tanzania Harbours Authority (THA) to private operators, as part of its privatisation exercise. Communications and Transport Minister, Prof Mark Mwandosya, announced the establishment of a new body to be known as the ‘Tanzania Ports Authority (TPA). The Tanzania Electric Supply Company (TANESCO) has sought funding from the World Bank to the tune of 70m US Dollars (Shs 70 billion/-) for upgrading the electricity networks in Dar es Salaam, Arusha and Kilimanjaro regions. Managing Director Rudy Huysen said that the new TANESCO management had used a report already prepared by the Japanese International Co-operation Agency on upgrading of these power systems. Unfortunately, he added, no studies had been undertaken for other towns, which could enable TANESCO to seek donor support. The TANESCO Chief said that after attaining the company’s financial turn around, the management was currently busy working on the technical side in order to improve the quality of power supply. “We are glad that during the past seven months, only one grid-related failure has occurred which lasted for only two hours,” Huysen remarked. He attributed this performance to the implementation of maintenance projects undertaken in recent months. Regarding the current bad hydrology, Huysen said that half of TANESCO’s revenue was being spent on purchasing energy from Independent Power Tanzania Ltd (IPTL). There were plans in the near future to generate power using the Ubungo gas turbines although it would be expensive to do so as it would cost 12 US cents per unit (kWh) compared to 7 US cents that TANESCO sells to its customers. TANESCO planned to layoff 1,060 workers at the end of September according to Deputy Managing Director, Steve van Staden, quoted in the Guardian. Van Staden said the retrenchment would be implemented in accordance with the voluntary agreement signed between union leaders and the management. TANESCO had targeted a 20% retrenchment of its workforce which stood at 6,331. Tanzania would spend TShs 8bn to revamp the cooperative movement, Cooperatives and Markets Minister George Kahama told the Moshi Cooperative College convocation on December 6. He said 200 cooperative officers had already been trained so that they could help undertake the project democratically and commercially for the benefit of members. The project was being funded by the Norwegian Government. According to the Minister the college would be able to enroll between 3,000 and 7,000 students a year in a 10-year period Guardian. The Government has announced that a number of state owned livestock ranches (covering 4 million hectares) will be subleased to investors; the National Ranching Company will retain only 20,000 hectares. The remaining areas will be subdivided into 4000-hectare mini-ranches for Tanzanian pastoralists. But the newly formed ‘Tanzania Pastoralists, Hunters and Gatherers Organisation’ (TAPHGO) and MPs from Ngorongoro, Longido and Simajiro have protested about what they describe as the secrecy of the privatisation process -Guardian. The European Union and the Government have signed an agreement that will see the EU provide US $131 million in budgetary support for work in basic education, primary health, rural roads, water, HIV/AIDS, agriculture and the judiciary over the next two years. Total EU support to Tanzania in 2003 was estimated to have totaled $160.9 million -more than any other country in Africa. Tanzania was being favoured because of its considerable poverty, large population and its successful macro-economic and sectoral policy reforms. Dr Andrew Pocock (48) has been appointed British High Commissioner in Dar es Salaam in succession to Mr Richard Clarke, who is retiring from the diplomatic Service. Dr Pocock took up his new appointment in November. He first entered the Foreign and Commonwealth Office in 1981 and since then has held diplomatic posts in Lagos, Washington and Canberra; he has been Head of the Southern Africa Department of the Foreign Office since 2001. Dr Pocock presented his credentials to President Mkapa at the State House on November 8. He was reported in the press to have said that his Government was satisfied with the various economic and political developments initiated and implemented by the Third Phase government which were ingredients for stability. He added that Tanzania, being one of the most peaceful countries in the world with abundant natural resources and investment attraction, had every opportunity for development. On his part, President Mkapa thanked the British Government for its support to various development activities in the country. He said that the brotherly relationship between the United Kingdom and Tanzania, based on trust and openness, was commendable. The President said that the United Kingdom was the first country to support Tanzania during the economic transition, which he started implementing after becoming head of state. The President praised the British government for being the first country to resume aid to Zanzibar immediately after the accord (Muafaka) between CCM and CUF. The Sunday New (12th October) featured the considerable progress being made on the implementation of the re-introduced Universal Primary Education (UPE) Programme. Extracts: ‘Tanzania has been pumping money into education for the past three years in accordance with its Poverty Reduction Strategy paper. Recurrent education spending has risen from a $159 million in 1999/2000 to $693 million in 2003/2004. These funds have enabled the Government to build 20,000 classrooms and employ 10,000 teachers during the last two years. Pupils also have more desks and textbooks in their classrooms than ever before…. When school fees were abolished two years ago enrolment figures quickly doubled. Gross enrolment has increased to 100 per cent from 70 per cent in 2000…….. But some experts are questioning this success story saying that little progress has been made in the Standards Seven exam pass rate and hence the numbers moving from primary to secondary education. Even though education spending as a percentage of GDP had risen from 3.1 per cent in 1999 to 5.1 per cent in 2003 it was still well low compared to countries such as Kenya (6.5 per cent), South Africa (8 per cent) and Botswana (10 per cent). THE ZANZIBAR LEOPARD – DEAD OR ALIVE? The Zanzibar Leopard, Panthera pardus adersi, is an elusive and possibly extinct subspecies endemic to Unguja Island. Visitors to the Zanzibar Museum may be familiar with the stuffed and rather faded specimen kept in a display case there. There are only a handful of other skins in museum collections and this small leopard with tightly-packed rosettes has never been studied in the wild. The last time a researcher claimed to have seen one was in the early 1980s. Many rural Zanzibaris believe that leopards are often kept by witches and sent by them to harm or frighten their fellow villagers. This belief comes together with an elaborate package of ideas about how leopards are bred, trained, exchanged and sent to do the evil bidding of their owners. For local farmers this supplies a neat explanation for predation by leopards on livestock and humans, and more generally for their appearance “out of place” in the vicinity of farms and villages (Goldman and Walsh 1997). During the colonial period, when leopards began to kill increasing numbers of domestic animals and even small children, people responded in kind. Matters came to a head after the 1964 Zanzibar Revolution when a witch-finder called Kitanzi led a national campaign to rid the island of its leopards and curb the activities of their alleged keepers. The eventual outcome of this campaign and the subsequent classification of leopards as “vermin” was to bring them to the brink of extinction (Walsh and Goldman 2003). When we began our joint research on the Zanzibar Leopard in the mid-1990s there were probably still a few of these beautiful felines left (Goldman and Walsh in press). Now we can’t be sure. Whereas most zoologists think that the Zanzibar Leopard is extinct, many rural people think otherwise. Claims of sightings abound, as do reports of other evidence for leopards’ continued presence and their nefarious use by witches. Many of these reports are impossible to verify independently. None of the cases that we have investigated in the past two years has produced confirmation of a sighting or other leopard signs. The recent discovery of the Zanzibar Servaline Genet, Genetta servalina archeri, suggests that perhaps Unguja has yet to give up all of its zoological secrets. This small carnivore, another island endemic, was first described from an old skin and skull obtained in 1995. Its status was uncertain until a number of individuals were photo-trapped in January 2003 (Goldman and Winther­Hansen 2003). If the Zanzibar Leopard survives, then similar standards of proof will have to be applied for any record to be acceptable to the scientific community. Otherwise most of us will get no closer to it than that faded museum specimen and those colourful cryptozoological narratives. We are continuing research and writing on the case of the Zanzibar Leopard and the many issues that it raises. We would very much like to hear from anyone who has any information about the island leopard and/or its products. We are especially interested in historical records from different periods, both before and after the Revolution, and including recollections of leopard hunting on Unguja and the fate of leopard skins. Correspondence should be addressed to us at 8 Church Lane, Cambridge, CB2 2LA, or bye-mail tokisutu@hotmail.com. Any assistance will be gratefully acknowledged. Goldman, H. V. and Walsh, M. T. (in press) ‘Is the Zanzibar Leopard (Panthera pardus adersi) Extinct?’, Journal of East African Natural History, 91 (112). Goldman, H. V. and Winther-Hansen, 1. (2003) ‘First Photographs of the Zanzibar Servaline Genet, Genetta servalina archeri, and Other Endemic Subspecies on the Island of Unguja, Tanzania’, Small Carnivore Conservation, 29: 1-4. Walsh, M. T. and Goldman, H. V. (2003) ‘Killing the King: Political Imperatives and the Extermination of the Zanzibar Leopard‘, paper presented to the International Symposium on Le Symbolisme des animaux: l’animal “clef de voute” dans la tradition orale et les interactions homme-nature, Villejuif, Paris, 12-14 November. AN-NUUR reported that Khadija Saidi, a Muslim woman had died of injuries sustained when police confronted a group of rioting Muslims at Furahisha grounds in Mwanza on September 8th and had been added to the list of Tanzanian shaheeds (Muslim martyrs who had died for their religion in Tanzania). In another story AN-NUUR reported that Muslims were organizing themselves on what to do when the day of voting eventually came sometime in 2005. The paper quoted Tanzania Labour Party (TLP) chairman Augustine Mrema as saying that Muslims should unite and face the Government squarely ias the Iraqis and Afghans were doing to the Americans. It is also reported that Sheikh Ali Abubakar, the Imam of the Aqsaa Mosque in Arusha, was attacked and injured critically in mid-November by colleagues who opposed his leadership. Machete-wielding Muslims fought pitched battles at the mosque forcing women and children to seek refuge at the Majengo Road police station. Majira reported that on September 9 Mwanza police had used tear gas to disperse Muslims and Pentecostal Christians fighting for several hours over the right to use the Furahisha preaching ground in the city. One policeman was critically injured and one Muslim preacher was arrested for resisting police orders to stop the fighting. According to the paper, many residents were blaming the Mwanza authorities for giving the Christians a permit to use the Furahisha grounds knowing that the Muslims had a permit to use them. At a public debate in Dar es Salaam recently under the heading ‘Reflection of Attitudes, Perceptions and Practices on Corporal Punishment’, it was stated that under the National Education Corporal Punishment Regulations (Control and Administration of Corporal Punishment in Schools), Act No. 25 of 1978, only six strokes, currently reduced to four, are to be administered to a student as a last resort, after all other means to rectify him/her have failed. One of the participants, Sheikh Hassan Chizenga, Secretary of the Council of Clerics (Ulamaa), from the Supreme Council of Tanzania Muslims (BAKWATA), said that Christianity and Islam condoned strokes as a means of deterring the child or any person from committing evils in society. He said western countries were being ruined because they had banned corporal punishment in schools and at family level and granted children the leeway to do whatever they wanted. European countries and the United States were doomed because of moral decay among their teenage boys and girls. “They kill, steal, commit adultery and disobey their parents, yet the law protects them,” he said. He warned that the same trend could happen in Tanzania if remedial steps were not taken. The Sheikh advised parents not to be harsh but, at the same time, not to be too Lenient -Guardian. The Anglican Church of Tanzania has condemned the consecration of Rev. Canon Gene Robinson, a gay bishop in the Episcopal Church of the United States, saying that homosexuality was against the Word of God. In a statement published in the Guardian, the Church said that it did not recognize the Rev. Canon Robinson to be a bishop, nor would it recognise any homosexual person who might be consecrated in the future ….. the Anglican Church remained obedient to the Word of God and homosexuality was a sin. The London Times reported on 27th November that British business man Antony Griplas, who ran ‘Adventure Afloat’ (which offered tourists outings on traditional dhows) had been shot twice in the abdomen when a gang of 10 raiders burst into his beach house at Chukwani, a small community on the west coast of Unguja, Zanzibar’s main island. The pirates used a boat to approach the house where the family was asleep after spending the day dolphin watching. Mrs Griplas gave them the contents of the safe and pleaded with them to take anything that they wanted from the house but they shot Mr Griplas with a pistol. The Daily News reported that five armed bandits raided the Buhemba gold mine in Musoma on 11 th October and abducted three white South African employees after their attempt to break into the mine’s strong room failed. When the police gave chase to the two vehicles that they had also hijacked, the thugs beat up the white men injuring one on the right leg with a machete. There was then an extraordinary but sad sequel. Majira reported that three Musoma police officers and two suspected criminals had died in a car accident on December 6 in Tarime district. The Mara Regional Police Commander said the officers were taking the criminals to Tarime’s border town of Sirari where they said their heavily armed colleagues were hiding. The driver of the police vehicle, himself a police officer, escaped unhurt but was then said to have ‘lost his mind’ at the police station and shot himself dead. The suspected bandits are alleged to have taken part in the incident at Buhemba Mine. A secondary school student, Steven Mwinyijuma who is facing terrorism charges in a Kisutu Court, was sponsored by a Palestinian citizen to do investigations in the country on how US citizens conducted their lives. According to allegations in a preliminary inquiry, conducted before the case is committed to the High Court, Mwinyijuma was being sponsored by Mohamed Haji. It was alleged in court that the accused got terrorist training at Nacostec College and had performed surveillance operations on Western targets in Kenya, Djibouti, Mozambique and Tanzania. Mwinyijuma was found with a map showing the security set up at the US embassy in Dar es Salaam and a book containing telephone numbers of many leaders including President Mkapa and Foreign Minister Jakaya Kikwete -Majira. IRIN reported on September 1 that President Mkapa had repeated his earlier accusations that refugees were to blame for the increase in small arms in the country and said the problem could be solved by creating safe havens for civilian refugees within their own countries. The President said that, although the problem of guns had not yet reached ‘crisis level’, refugees were to blame for an increase in armed crime and trafficking of weapons in western Tanzania. In his speech, before destroying over 1,000 small arms in the Dar es Salaam, the President said that he was pushing for the international community to adopt a system of creation of safe havens in conflict-torn countries, with a view to preventing internal strife from spilling into neighbouring countries, who must then bear the burden of refugee influxes.